We have heard the talk all season. Why isn't Daniel Theis getting more floor time? Well, that is starting to happen and he is proving he can compete with the elite bigs. He proved that in a recent game against the New Orleans Pelicans. Finally, the Celtics found their solution to Davis and Cousins in the form of rookie Daniel Theis. The German big man was inserted into the game at the start of the fourth quarter, after playing just five minutes and 17 seconds during the opening three frames. He ended up playing so well against New Orleans’ frontcourt that Brad Stevens could not take him out of the game. Theis played all but 53 seconds of the final frame, while helping to limit Davis and Cousins to shoot a combined 1-of-7 from the field. His strong defense allowed the Celtics to hold New Orleans to only 17 points during the final quarter of regulation, after it had scored at least 26 points during each of the previous three quarters. Theis has been brought along slowly by Coach Brad Stevens, and his game is blossoming. Anthony Davis and DeMarcus Cousins are two of the very best bigs in the NBA, and Daniel proved that he could handle them. 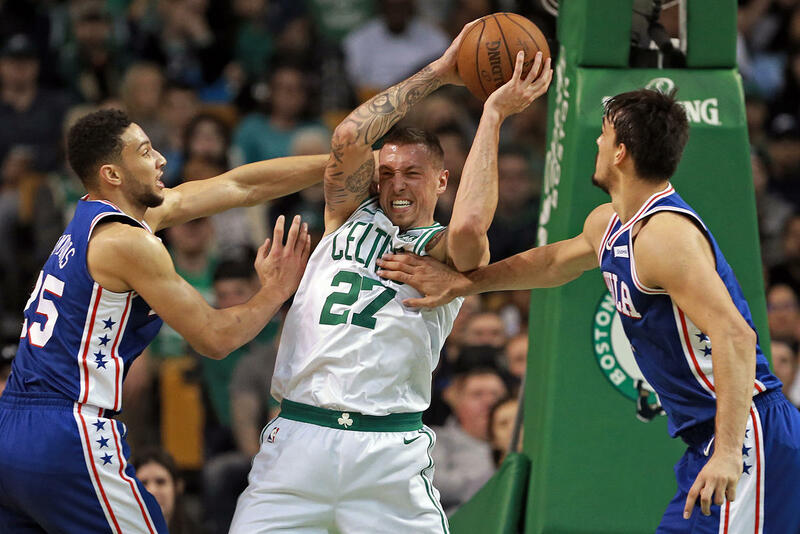 It’s clear that all of those contributions are allowing Theis to build trust among Boston’s coaching staff, and that’s why he earned the most minutes of any Celtics player during the fourth quarter of Tuesday's nail-biting defeat. Showing that he can successfully defend two of the top bigs in the game certainly help his cause, too. Daniel's fourth quarter play against two of the very best bigs in the NBA showed that he is capable of handling that type of challenge. He is signed for roughly 1.4M next season and may prove that he is not only a great find for Danny Ainge, but an important cog in Boston's plans going forward. At 6'9" and 243 pounds, he provides an offensive and defensive threat at both the center and power forward positions. And he just keeps improving.